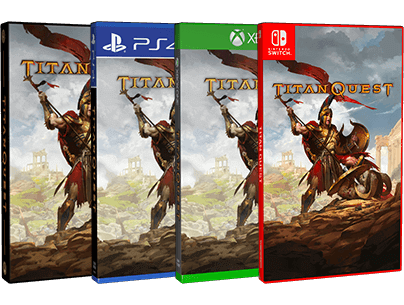 Behold, the PC gods have spoken… Titan Quest is granted to release on PS4 and XB1 on March 20 2018, with the Nintendo Switch™ version following later 2018. 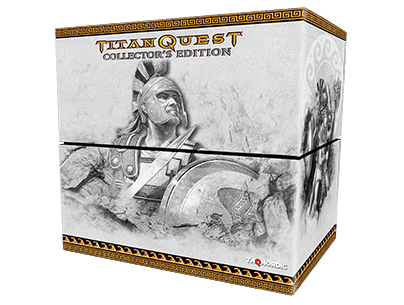 In addition to the online and offline release of the Standard Edition of the game, a mighty Collector’s Edition has been melted in Hades’ hellfire, hammered and forged on Hephaestus’ anvil, infused with Mars’ wrath, and charged with Zeus’ lightning. © 2018 THQ Nordic AB, Sweden. Developed by THQ Nordic. 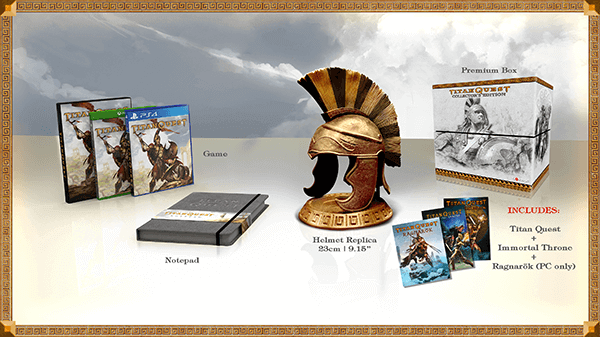 Originally Developed by Iron Lore Entertainment. 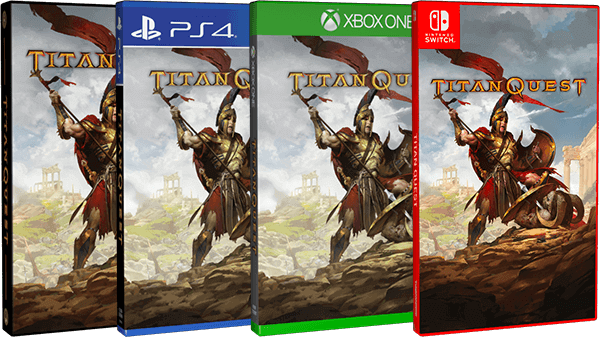 Titan Quest, THQ and their respective logos are trademarks and/or registered trademarks of THQ Nordic AB. All rights reserved. All other trademarks, logos and copyrights are property of their respective owners.